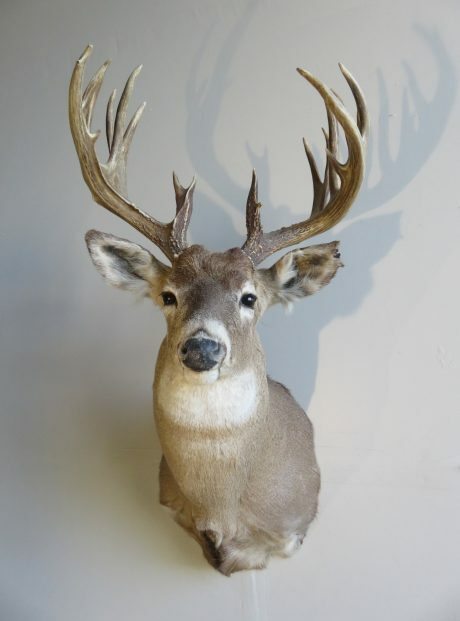 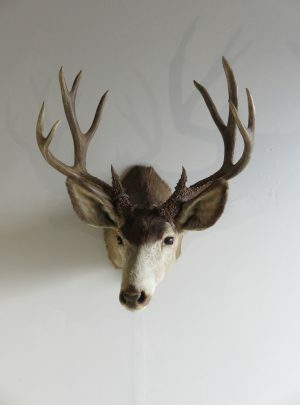 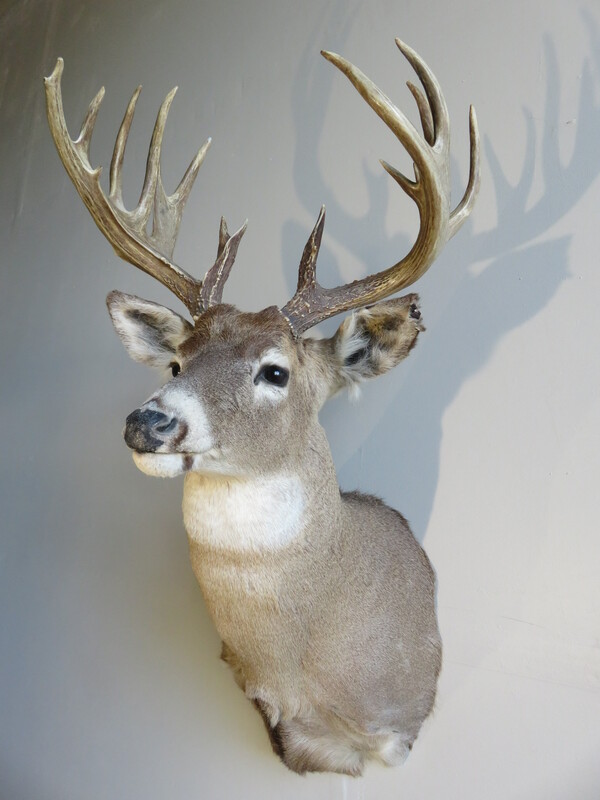 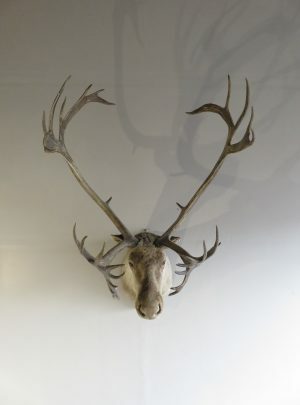 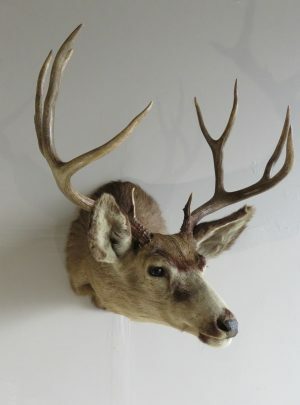 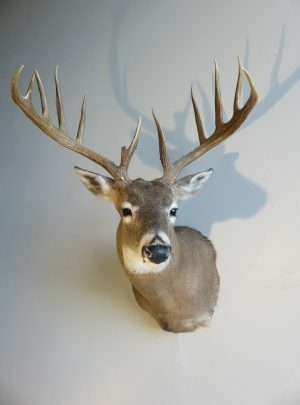 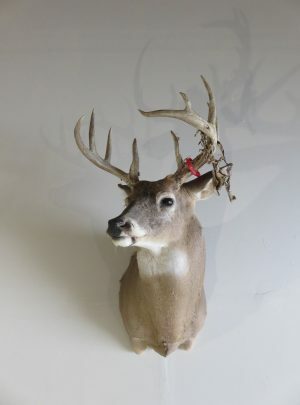 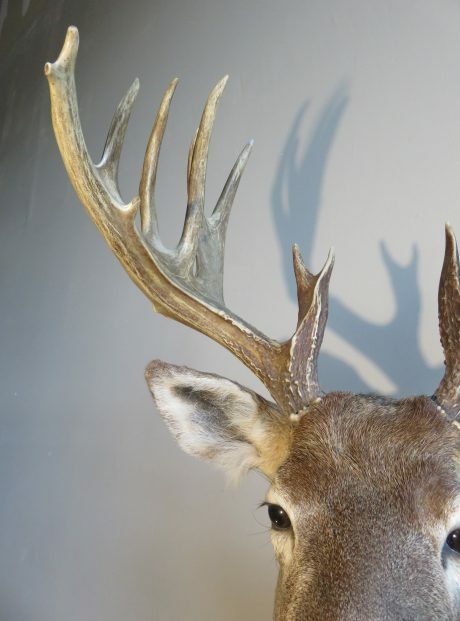 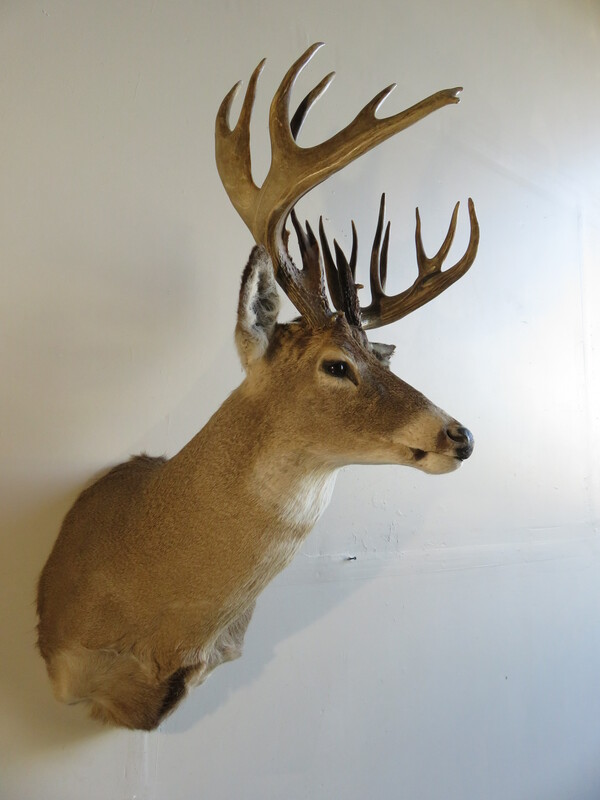 Whitetails are one of the most abundant species in all of North America and are thus commonly found as taxidermy mounts. But this is a buck that commands attention among its’ peers… Aside from a huge set of antlers, he exhibits nice coloring and a great pose. 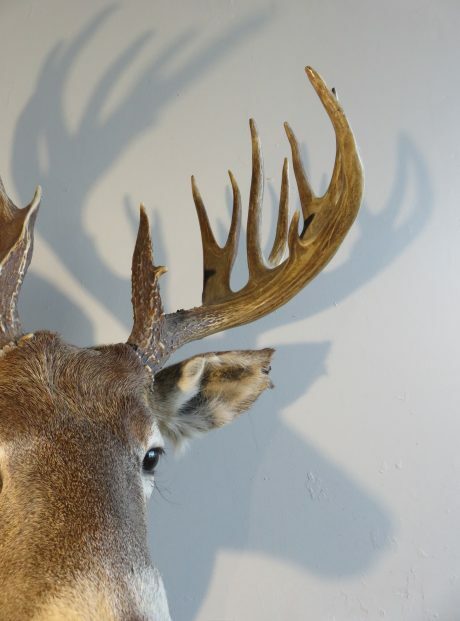 The one detracting mark that we could discount him for is the damage to his left ear. 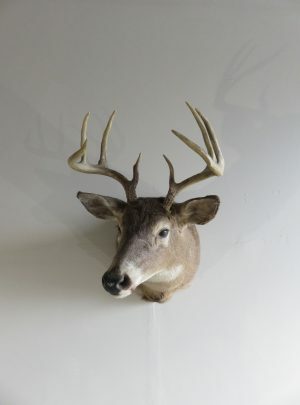 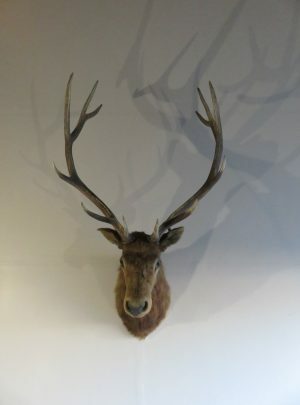 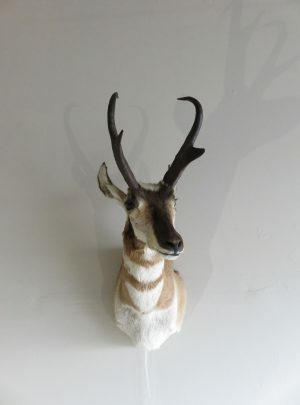 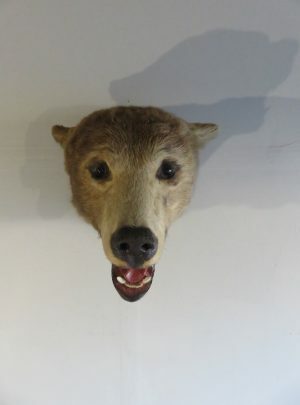 (see attached photos) Even with this detractor, we felt to award this wildlife mount a score of “Excellent”. 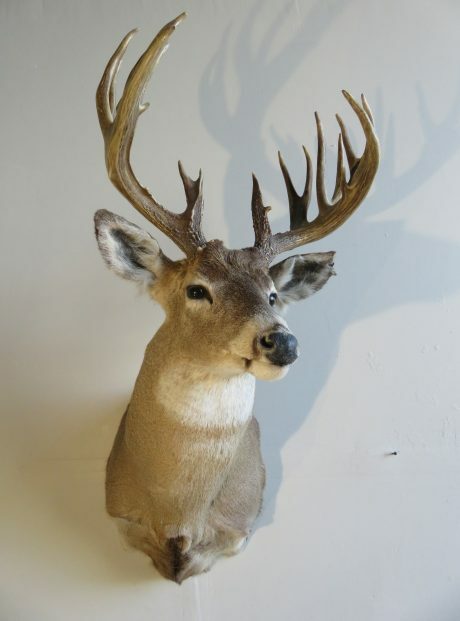 This mount registers overall dimensions of 26″ (depth) x 40″ (high) x 21″ (width). 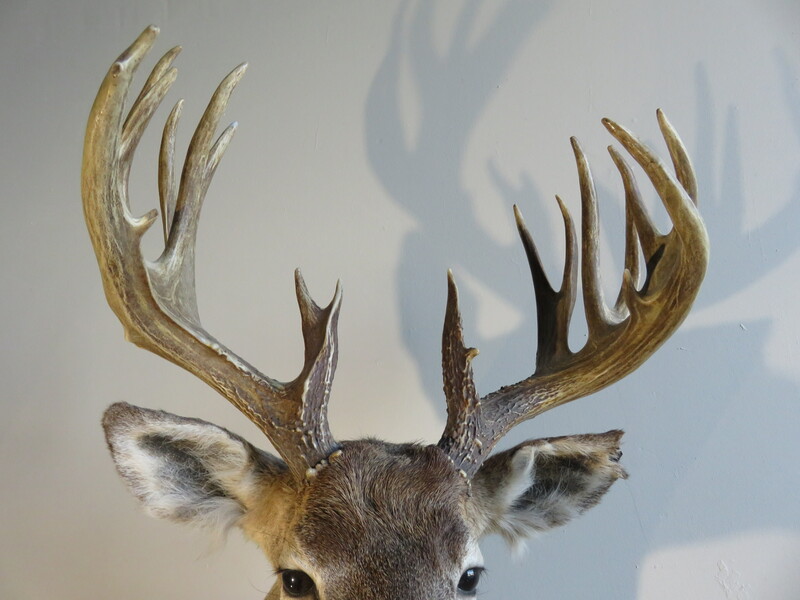 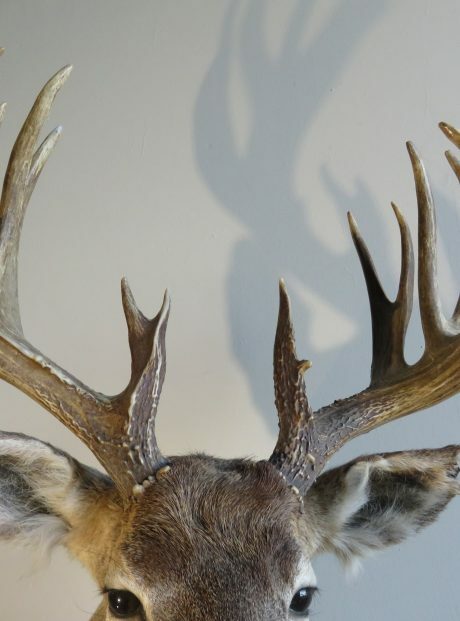 Maximum antlers width is 20 0/8″ inches measured at the outside.